Because Hollywood is a place no originality any longer, everyone is trying to be like Marvel Studios, especially in regard to The Avengers and how it combines several major film characters. DC and Warner Brothers for some odd reason have been having the most doggone time trying to get their characters off the ground, with the exception of Wonder-Woman. 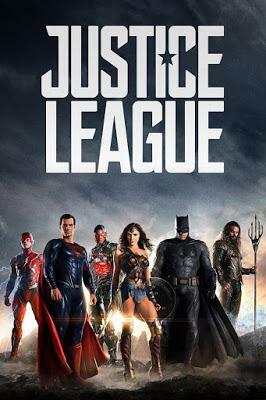 I'm not certain what Zack Snyder is thinking, but Justice League really struggled with a direction, and given that he's very talented and one of my favorite, it was a big disappointment. So the film pretty much takes place right after Batman vs. Superman. Some big bad dude called Steppenwolf wants to obtain 3 crates filled with dark power so that he can transform earth into a fiery realm much like his own after being stopped before in millenia past...or so. So to stop him, Batman and Wonder-Woman recruit extraordinary individuals: Cyborg Man, The Flash, and Aquaman and of course Superman. That's pretty much the story in a nutshell. Now, I was one of those people that enjoyed and liked Batman vs. Superman, however for Justice League...it wasn't quite the same reaction. Ben Affleck as Bruce Wayne/Batman just didn't work in this film. He was dull, flat, boring and completely uninteresting. That's it. Gal Gadot as Wonder-Woman was surprisingly equally dull, flat, boring and completely uninteresting. That's it for her too. The same goes for Henry Cavil when he shows up as Superman. 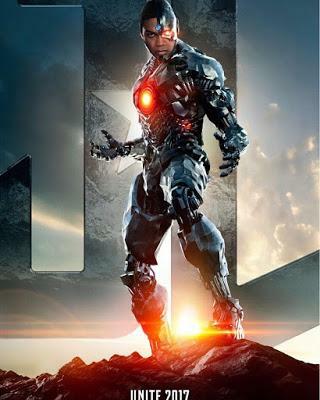 The most interesting character of the "Justice League" was Cyborg played Ray Fisher. There was something compelling about him and his character, as well as a super cool factor too. Hopefully (if they do a good job on the writing) they make a stand alone film with him; I think it could work quite well. The Flash played by Ezra Miller did excellent and came across in a positive light I thought. Humor, but also with some flaws, but it would have been great to see his character come across more seriously than where he ended up, but I am sure that is to come. Jason Mamoa as Aquaman was okay, but his character probably received the least amount of attention in the film of all the good guys, but there is a good deal of potential to work with, if done correctly, although given the performance of this previous film I doubt if they will be able to pull it off. Ciarin Hinds was the voice of the villain Steppenwolf, who was a very lame villain. He was boring, not very menacing, and totally ineffective in regards to creating a desperate situation for the heroes to overcome. Jeremy Irons was good as Alfred, or what little of him there was. J.K. Simmons only had a brief role as Commissioner Gordon, but that was a nice little cameo. Diane Lane as Martha Kent was nice to see her reprise her role, and Connie Nielsen as Queen Hippolyta as well. A great cast was assembled for this film, but it was not utilized effectively. As I mentioned previously, Zack Snyder is a brilliant director and one of my favorite, but for some reason in this film he really fell completely flat stylistically, and even the story and plot were simplistic and not dynamic at all. Even the action and cinematography were relatively uninteresting and boring. Of all his films I've seen, this is perhaps his worst and biggest dud in my opinion, and hopefully he only improves moving forward. Better writers are needed for the next set of films, and ironically one of the writers was Joss Whedon. What killed this film ultimately was bad writing, although I will put a lot of the blame also on poor directing too. The writing was so aimless and the characters so poorly written it adversely affected the film in such a powerful way. Danny Elfman composed the score for the film, and now that I think of it that fact really stuns me as there is nothing memorable or good from the music score whatsoever. No grand themes, no sweeping or interesting motifs; just really flat, kind of like the entire film. As he is one of my favorite film composers, this was also very disappointing. Wow this film is just racking up the disappointment points. As I mentioned earlier as well the cinematography was pretty lame, and the editing was atrocious; the choppy flow really ruined what good story or plot lines there were. The action sequences in this film were also blah, and considering what they had to work with, I don't know why Zack Snyder struggled coming up with something really cool and amazing. Overall this film was terrible, awful, or horrible; it was simply flat and blah. Entertaining enough, but I really expected a whole lot more, so the next time around they better make some great improvements.